Retail Access/Customer Choice was introduced to increase competition in the energy marketplace by encouraging more choices and competitive pricing for the supply of natural gas and electricity. Consumers can now shop for their energy supply from a variety of non-utility providers. However, gas utilities are still responsible for delivering gas to consumers through their local transportation and distribution services. 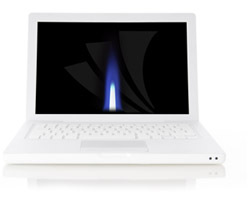 This new way of servicing customers has forced utilities to alter their natural gas business practices on many levels. The Gas Tracking System is designed to be the central information repository for utilities to manage their natural gas Retail Access/Customer Choice programs. Gas Tracking System was designed and is supported by a team of technical and business experts with over 60+ years of experience working in and designing information systems for natural gas utilities including Retail Access/ Customer Choice program solutions. A Customer Choice Electronic Bulletin Board (EBB) Software for the the Natural Gas Utility Industry. Secured business-to-business cross-platform web application that works on all major browsers and across multiple devices including desktops, laptops, tablets and smartphones. Gas Tracking System provides utilities an interactive system that allows gas suppliers, utilities, pipelines and customers to communicate and manage daily operations via one system. Flexible enough to change and meet the various state and utility requirements, Gas Tracking System can be customized to meet your exact regulatory requirements. Gas Tracking System provides a solution that can coexist with your existing Customer Information, Billing, Metering and Data Management Systems. Once defined, Gas Tracking System can interface with an LDC's internal data management systems to provide and retrieve the critical information required by Customer Choice programs. Natural gas suppliers, utility business partners and customers can access Gas Tracking System to manage their portfolio on a daily basis and to retrieve up to date information regarding their delivery requirements, billing information and customer information. Are you interested in seeing first hand the features and capabilities of GTS? Schedule a time to view a software demonstration or call 315.635.1695 x111 to speak with a representative.